A few weeks ago I was inspired by a new blogger (I feel so old and experienced saying that!) 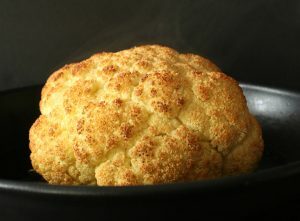 to do somewhat non food related post. Lisa the Gourmet Wog was also inspired by a fellow Aussie blogger Fig and Lime Cordial and who knows who or where this neat little blog post inspiration will go next. 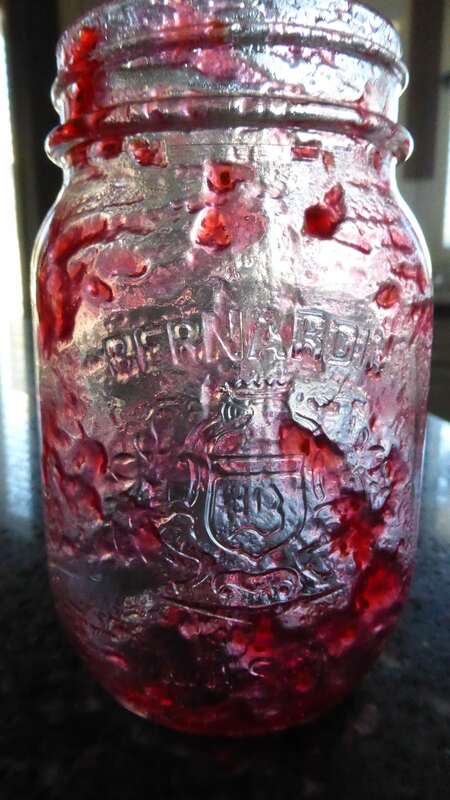 The last jar of last year’s raspberry jam….empty. Home made raspberry jam is a staple in my kitchen. As is blueberry. I think I’ll add some strawberry/rhubarb to the pantry as well. 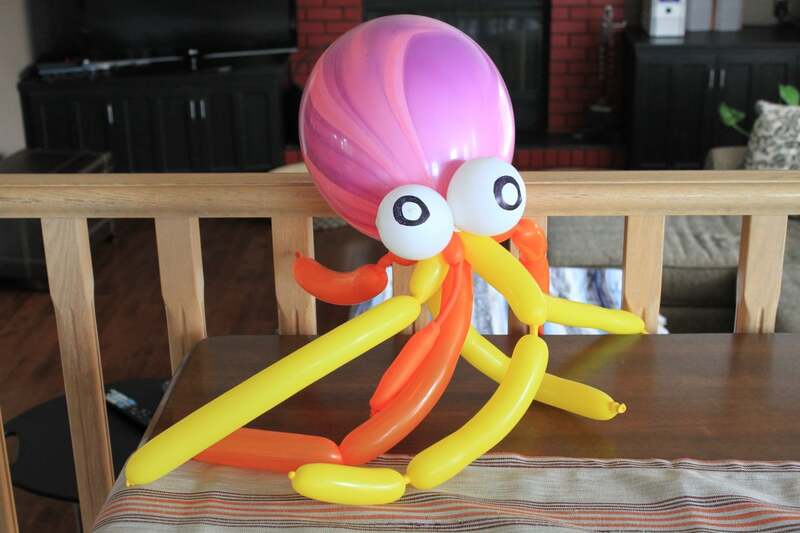 A balloon octopus left over from a party we went to several weeks ago…with a Russian. ’nuff said. 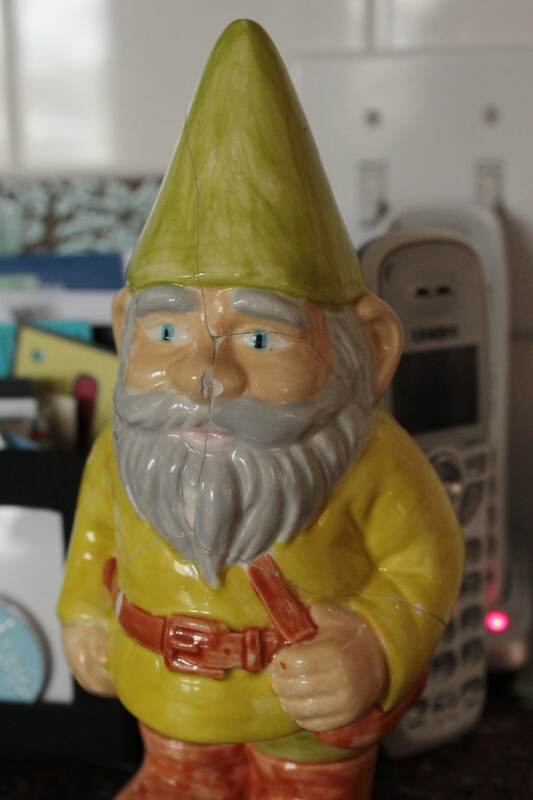 A Gnomicidal Gnome. Possibly because he was hand painted by me. It took hours to paint him and I put a lot of care and effort into creating him. But then I made the mistake of setting him ‘out of the way’ on top of the fridge. Once in a while he would get closer to the edge and we would save him from imminent death. But he was a very determined gnome. He finally succeeded in jumping May 29, 2013. However, my hubby is handy with glue. I don’t think ‘Larry’ is too happy about that. I try to buy myself flowers almost every week. I don’t spend a lot but these tulips were an absolute must have. 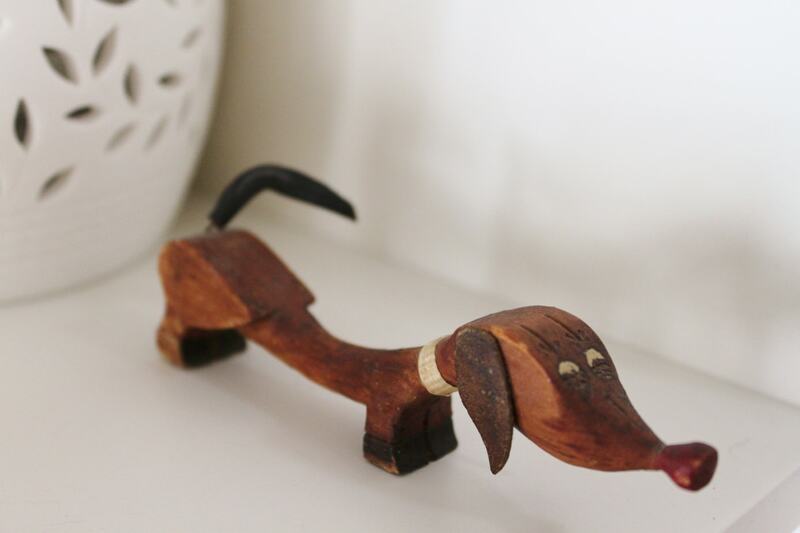 And two hand carved weiner dog figurines. Because I love my doxies. Oh Larry, whatever it is, surely it can’t be that bad? A kamikaze gnome is quite Pythonesque, don’t you think? 🙂 Thanks for joining in, Bernice, it’s lovely to look into your kitchen! The jams sound delicious, and the flowers are stunning – is it tulip season already? Love the swirls in the pink octopus balloon! Believe it or not, it’s actually more fun to do a non food related post than I thought 🙂 I may do another. It may be tulip season somewhere, but not quite here in Calgary. 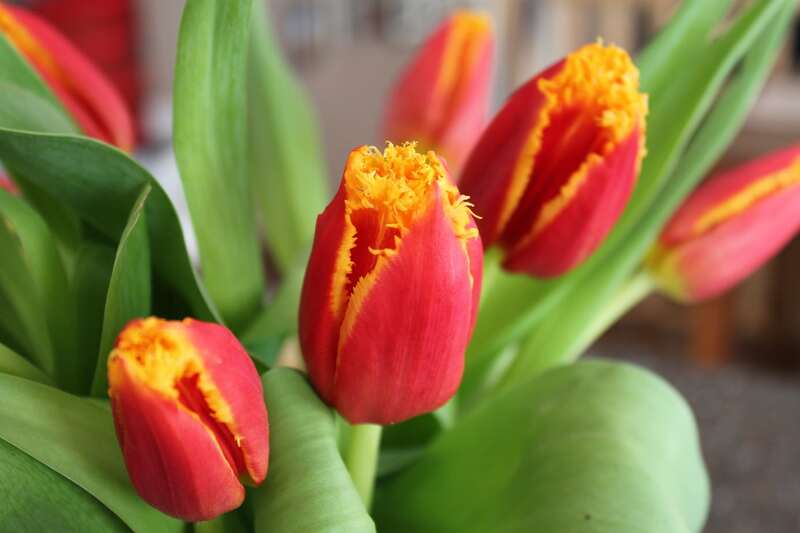 I got these tulips from the grocery store but there is a Dutch man that lives about an hour away. He grows tulips in his barn almost year round and sells them at the farmer’s market. That is where I usually buy my flowers except for this week. I just couldn’t pass those up. I think someday I’ll post a picture of my real weiner dogs…they are always in the kitchen! I love the tulips. Flowers do lift the heart, don’t they.